Each week we share a photo from the last week, that captures a moment of their childhood. My parents came to stay again this weekend. I’m mentioned to my Dad that I wanted to get a cleaner in to do all the bits of the house that I didn’t want to clean – the windows, the fridge, the cupboard doors, mirrors, the shower hose, etc. etc. This then turned into them coming to stay so they could do the cleaning for me! On Sunday evening we headed down to the allotment for a little bit. With all this rain we’ve been having the weeds have gone mad, so we all attacked them. 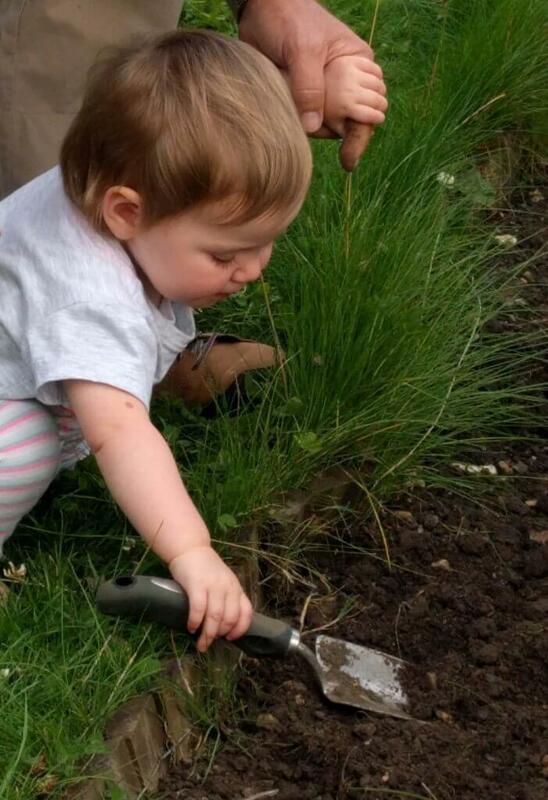 Isla is definitely getting more and more interested in what we’re doing when we’re at the allotment. So Dad gave her the trowel and let her do a bit of digging. She loved it. But got frustrated when she couldn’t get any soil on the trowel. I think it was a bit heavy for her. 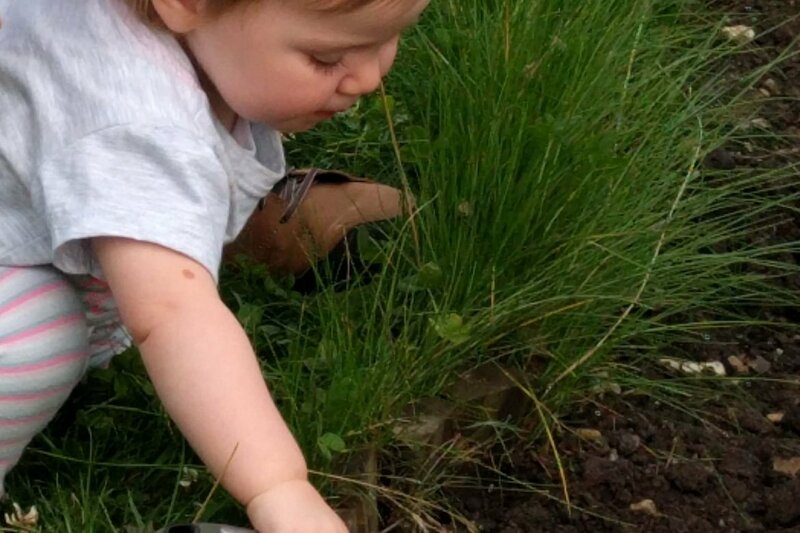 I’ve bought Isla her own trowel, fork and watering can set that are much lighter, so we must take that down to the allotment with us next time so that she can play. I just hope she doesn’t decide to dig up all my vegetables!